Hello, this is the episode guide for Season 27 of "The Simpso"ns T.V. series program. Keep in mind this is still a work in progress!!! I will update this page when more info becomes available so be sure to czech back regularily! Homer tries editing the family's home videos in iMovie and accidentally invents a new music subgenre, much to the chagrin of Lisa, who feels her own editing skills are being neglected. 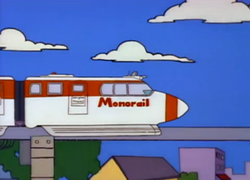 Springfield gets a new monorail system, but in a different way than before, and with updated cultural references! Plus, don't miss the elaborate five-minute couch gag that's also a Google Doodle! When Kearney starts using an army of "Kearney Bros" to harass girls on the playground, Lisa decides it's time to fight back by becoming a bully herself. Ronda Rousey guest stars. Dead Poochie: Roger Meyers, Sr.'s severed head shows Bart a "lost" episode of Itchy & Scratchy. 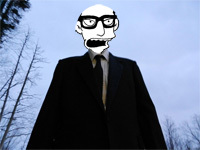 Very Tall Man: A mysterious paranormal figure stalks the children of Springfield in his VW Beetle. Gavin Drowned: Milhouse is convinced his copy of Bonestorm is haunted. Comic Book Guy decides to leave town after discovering the Japanese woman he married a couple seasons ago is actually an anime body pillow. Can Bart, Milhouse, Dan DiDio and Joe Quesada track him down and save the Android's Dungeon before the next continuity reboot?